Cognac is also classy, complex, contemplative -- like Dad himself, if you're lucky, at least in his finer moments. Bestowing a good bottle for Father's Day shows how highly you think of him, and not for nothin', it makes you look pretty damn good yourself. As a dad -- a stay-at-home dad, no less -- I'd like to think that I'm speaking for all us fathers out there when I say that this year, instead of another ugly necktie or bottle of fancy aftershave, we, the great fatherhood collective out there, would like a bottle of cognac for Father's Day. The odds are strong that I'm way off base. Cognac is fancy, foreign, a little intimidating even. If the dad in your life drinks, odds are he'll have some whiskey in the house, be it a Scotch single malt or a no-frills American bourbon. Probably some vodka. Maybe a tequila. But probably no cognac. And that's the point. Cognac is also classy, complex, contemplative -- like Dad himself, if you're lucky, at least in his finer moments. Bestowing a good bottle for Father's Day shows how highly you think of him, and not for nothin', it makes you look pretty damn good yourself. The eight cognacs mentioned here are by no means the comprehensive A-to-Z of the category, but they've got a pretty wide range of flavors and, just as important, a wide range of prices too, from quite affordable to ... well, quite not-affordable. If Dad likes to drink, the chances are good that at least one of them will tickle his taste buds without breaking your bank account. I mention this every Father's Day, because with each passing year of my own Daddyhood, it becomes more important, so here goes again: Really appreciating good spirits involves time. Time to sip, time to ruminate, time to really appreciate its depth of flavor. You can't pound shots of cognac. (Well, you can, but it's strongly discouraged.) So when you're giving a bottle of cognac for Father's Day, you're also implicitly giving the gift of letting Dad take a time-out to drink it every now and then, away from the diapers and the homework and the other assorted hassles that come with parenthood. Give one without the other and you're only giving half a gift. 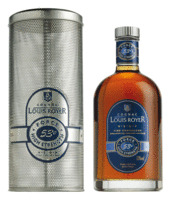 LOUIS ROYER FORCE 53 VSOP (Fine Champagne; 53% alcohol by volume, suggested retail price $40). PERFECT FOR: The dad who has a bar in his home... and likes to use it. 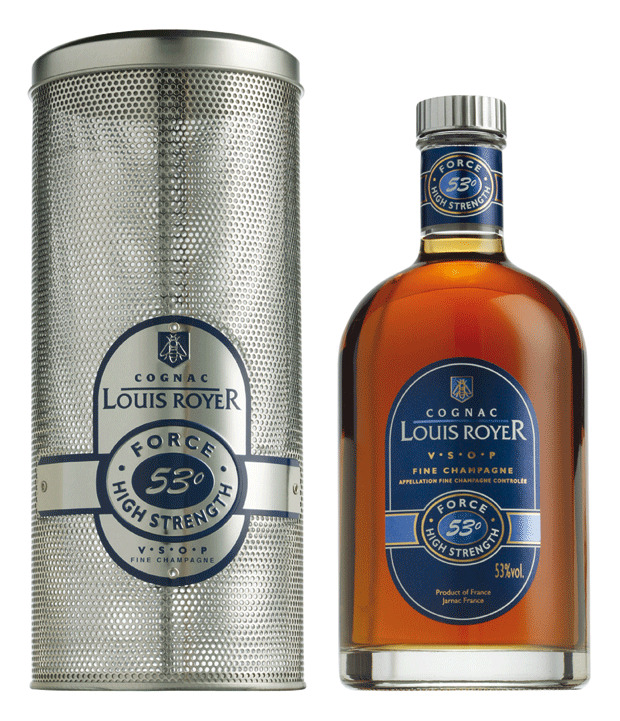 Force 53 isn't the most refined cognac out there; neither the grapes used in its distillation nor its aging are what you'd expect from the more hoity-toity brands. But its high proof (most cognacs come in at 40-45% alcohol, while Force 53 is a bruising 53%) gives it muscle, which makes it the go-to cognac for use in mixed drinks. Cognac? In cocktails? Heck yes -- try a Brandy Crusta for starters. And since Force 53 has a dry, powerful, almost whisky-like flavor, it's a perfect brown-spirit stand-in for cocktails featuring whiskey (cognac Old Fashioned, anyone?) or even dark rum (makes an insane Mai Tai, seriously). 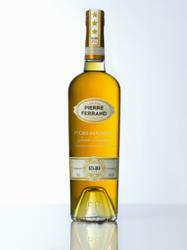 PIERRE-FERRAND 1840 ORIGINAL FORMULA (Grande Champagne; 45% ABV, $45). PERFECT FOR: The dad who would love a time machine to go with his cognac. David Wondrich, the great colossus of cocktail historians, helped model this 19th century-style cognac on an authentic original 1840-vintage bottle which had miraculously survived the ages. The style is a lot fruitier and more vibrant than the dry and woody cognacs we're familiar with, and what's wrong with that? After all, cognac is made from grapes, so it's nice to actually be able to taste them in the finished product. Try this baby neat or in what will no doubt be the best Sidecar you'll ever try. It's the next best thing to time traveling to antebellum New Orleans... without the stench of horse manure. 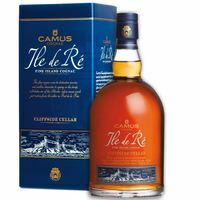 CAMUS ILE DE RE CLIFFSIDE CELLAR VSOP (Bois Ordinaire; 40% ABV, $100). PERFECT FOR: The iconoclastic dad. For brandy to be called cognac, it has to be made in the Cognac region of France... right? Well, not exactly. There's a small island off the coast, Ile de Re, that's also been granted the appellation required to make official, legal cognac. Why? Well, that's above my pay grade, but I can tell you that Camus' Ile de Re cognacs all have a slightly salty, sea-air quality to them that's a little reminiscent of Islay whiskies. The best of the bunch, and the first cognac I really fell in love with, is Cliffside Cellar. So named because it's aged in casks resting in a cliffside cellar just a few meters from the Atlantic coast, it's rich and round and fruity, with lively notes of orange peel and pear, and a finish that puts you right at the seaside. This is not your father's cognac, but after this Father's Day it might be. 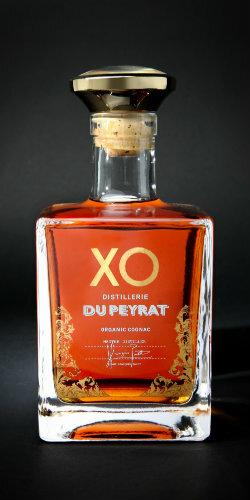 DISTILLERIE DU PEYRAT XO (Blend; 40% ABV, $150). PERFECT FOR: The earth-friendly dad. There are plenty of organic spirits out there, but Peyrat is one of the first certified organic cognacs. It's not just the absence of artificial fertilizers and pesticides that will draw Dad to this XO -- it tastes damn good, too. Aged for 12 years, It's got a dry, grapey vibe with the wood present but not dominant, and a spicy, leathery, quite dignified finish that evokes drawing rooms and smoking jackets of old. Any cognac this good that doesn't harm the planet is worth celebrating, on Father's Day or any other day. 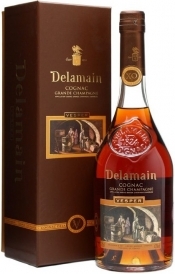 DELAMAIN VESPER XO (Grande Champagne; 40% ABV, $200). PERFECT FOR: The classicist dad. Most of us have certain preconceptions of what cognac should taste like; oaky, dry, with a certain... gravitas to it. And while it's great to defy expectations, it's also great to deliver what's expected and do it well. Vesper, with its substantial mouthfeel, strong woody presence and lingering, caramel finish, delivers the goods, satisfying that cognac jones the way Led Zeppelin satisfies your classic rock jones or Hemingway satisfies your literature jones. If your dad worked a job he didn't love in order to put you through college without your acquiring a bundle of student debt because, dammit, that's what men are supposed to do, this is the cognac for him. 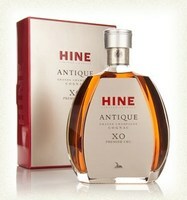 HINE ANTIQUE XO (Grande Champagne; 40% ABV, $200). PERFECT FOR: The dad who mistrusts the big-name brands. Now, don't get me wrong -- Hine has been making cognac for more than 250 years, and doing it very well. But among cognac novices there's Courvoisier, Hennessy, Remy Martin... and everything else. Blame marketing, or the lack thereof. Blame the general public's lack of knowledge. But don't blame yourself, not if you're picking up a bottle of this truly superb cognac for Dad this year. Created in 1920 and revived in 2010 as a 100% Grande Champagne cognac, Antique XO is aged for at least 10 years. It's got a rather delicate, floral aroma which belies its big, fruity, rich and spicy flavors. The long, lively finish will leave Dad craving another sip -- you too, if he's kind enough to split a snifter with you. MARTELL COHIBA XO (Grande Champagne; 43% ABV, $600). PERFECT FOR: The dad who likes to do some smoking along with his drinking. A nice cigar, a snifter of fine aged cognac... a perfect way to end an evening. Or spend your life, for that matter. If your dad is the kind of guy who appreciates these and other fine things -- a well-tailored suit, a juicy steak, 18 holes of golf -- then this is the cognac for him. Aged between 40-50 years, it's designed to complement a fine cigar (it was designed with Cohibas in mind, as you might have figured out). That means it doesn't come on dry and smoky, but full-bodied and a little on the sweet side, with a slightly higher alcohol content than most cognacs to stand up to the powerful smoke and tobacco flavors. It's a match made in heaven. Unfortunately, the price isn't quite as heavenly, but you'll be getting your money's worth, and Dad will have a crown jewel for his liquor cabinet. 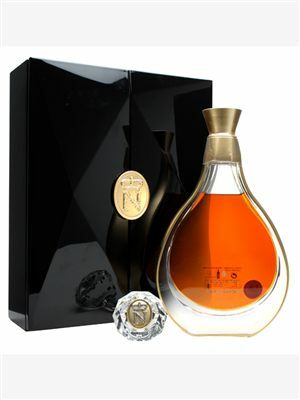 COURVOISIER L'ESSENCE XO (Grande Champagne & Borderies; 42% ABV, $3,000). PERFECT FOR: The dad who's responsible for your trust fund. You're not just getting a bottle of cognac for your three grand -- you're getting it in a Baccarat tear-shaped crystal decanter, with a stopper inspired by a signet ring given by Napoleon himself to his imperial commanders. You could put sarsaparilla in a package like that and it'd still be pretty impressive. 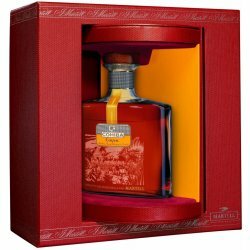 But the liquid is as impressive as the packaging, containing a blend of cognacs dating from the late 20th century all the way back to the early 1900s. You'd think that with cognacs so old, the flavor might be akin to a piece of oak, minus the splinters. But there's a lot of layers to L'Essence, from toffee to dried apricots to tobacco to just a touch of vanilla and honey. This stuff is so elegant, Dad might want to change into some fancy duds just to have a snifter. And if you can afford this cognac, your dad probably has a pretty fancy wardrobe.